There are plenty of things about Lake Charles that you may have heard, but have you ever thought about how the historic elements of the city can still be seen today? Where did the name “Lake Charles” come from? A little known fact, even to locals is that our city gets its name from a tragically romantic story involving love, jealousy and pirates. One of the first inhabitants in the area of what we now know as Lake Charles was a man by the name of Charles Sallier. Sallier was actually first brought to Louisiana in 1781 by none other than Jean Lafitte and the two remained friends until things got rather complicated. Charles fell in love and married a woman by the name of Catherine Lebleu. The two lived in a home together on the southeast shore of the lake which became known as Charles’ Lake, later Charlestown and finally established as Lake Charles. Sallier began to suspect that his wife Catherine and Lafitte were becoming more than friends and one day after returning from a business trip, Sallier noticed that Catherine was wearing a brooch that he found out Lafitte had bought her. In a fit of rage, he shot Catherine and fled the home never to be seen again. Despite being shot in the hand, Catherine survived because the brooch stopped the bullet. 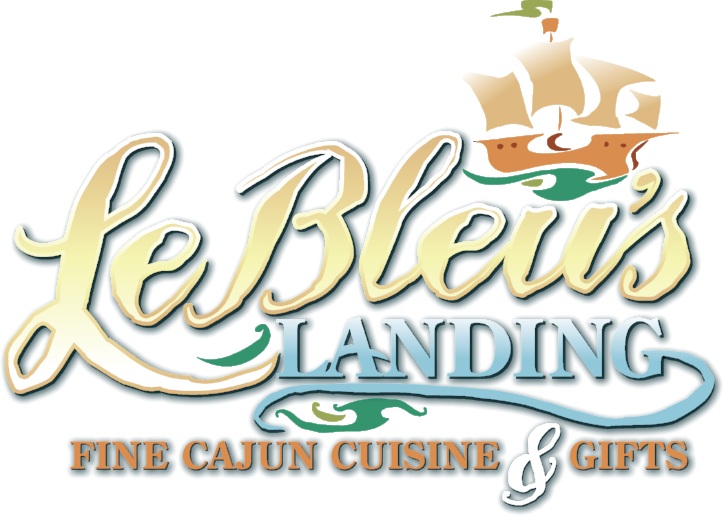 Catherine Lebleu’s descendants still live in our area today as owners of the popular restaurant Lebleu’s Landing. 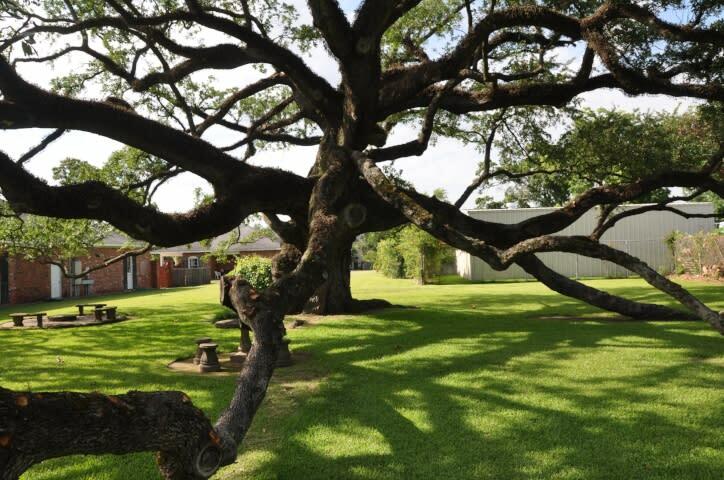 Charles Sallier’s memory lives on at the Imperial Calcasieu Museum’s 375 year old landmark, The Sallier Oak. Lake Charles started as a sawmill town. Lumber was the principal industry in the late 1800s. Pine and cypress trees were cut down, marked with the mill’s brand and floated down the Calcasieu River where they would be picked up and processed. Our entire downtown was built with this lumber. A fire destroyed nearly everything in the early 1900s. About 30 blocks including the courthouse, city hall and the Catholic Church were all destroyed. It’s known as The Great Fire of 1910. 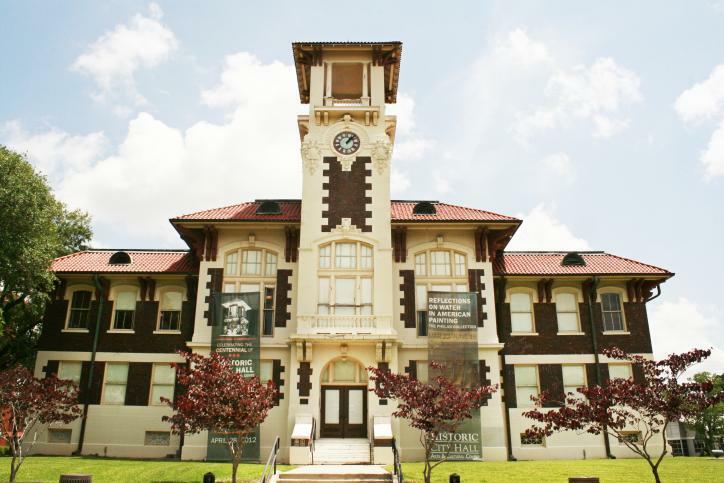 You can learn more about The Great Fire at the 1911 Historic City Hall or by taking a historic tour using the free Lake Charles Historic Tour app. Have you ever eaten at the restaurant 1910 downtown? Great food there, but take a closer look at the restaurant’s logo. 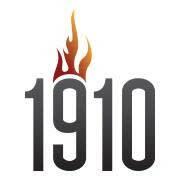 The restaurant is located in the Phoenix Building, which is also symbolic of Lake Charles’ rise from the ashes of The Great Fire of 1910. These historic events explain why today our city is known as Lake Charles and gives light to the pirate traditions we celebrate with events like Louisiana Pirate Festival each May. Although our city is expanding and growing every day with new developments and modern attractions, its history can still be experienced as it is living on all around us.